In former Fed chair Ben Bernanke's 2015 autobiography of the financial crisis, The Courage to Act, he tells a a very self-righteous story of how he and his team saved the world from an even worse financial crisis. That conclusion is dubious on many grounds, as well as slightly too boastful for my taste; even Mervyn King in his End of Alchemy ridicules those kinds of stories coming out of the GFC. The analogy is meant to clearly explain why opposing bailouts on moral hazard grounds in the midst of a crisis is mistaken, 'misguided' and 'dangerous' as Bernanke calls it on the previous page. And it always struck me as a complete false analogy. 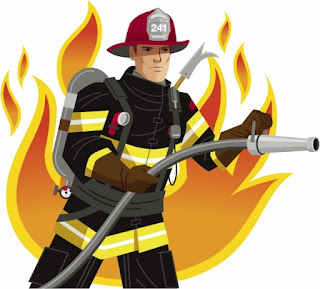 A fire is, for both the smoker and his neighbor, a sufficiently detrimental and damaging event, and so whether we put it out or not, he still has a very large incentive to prevent such destructive fires in the future. In other words, he he has very little to gain from increased risk of fire [= smoking in bed] compared to the downside of a ruined house or maybe even death. I mean, there's a reason why there is little to no moral hazard in home insurance business, even though most home-owners are insured. In the real world for which the analogy is supposed to have value, we shouldn't refrain from bailing out failing institutions, since their failures may spread to the rest of us (the equivalent of fire spreading from the smoker's house to the neighbor). The mistake here is that failing institutions fail because they misjudged consumer demand or (more relevant for the GFC) took on jaw-droppingly large risks. This is the key to why the analogy is wrong: what's the upside of such massive risks? Insane payoff. If the investments done by a banker with leverage ratio of 40x pay off, he'll make massive amounts of money. If it doesn't, he can count on being bailed out by the Fed, Tresury etc, and in a few years time recoup the investment. What's the insane payoff for the smoker? The marginal benefit of smoking in bed rather than outside. Now, truth to be told, I cannot know exactly how intense the pleasure of smoking in bed is, but Bernanke never struck me as the guy who would take the impossibility of making interpersonal utility comparisons seriously, and unfortunately for him he has to invoke that assumption for this analogy to work. So, if we pretend that the smoker's marginal pleasure of smoking in bed rather than outside is very large indeed, it has to be as large as the marginal benefit of Greenspan Put and Bernanke support of markets compared to what Fed-supported financial firms otherwise would have been earning/be worth. Since estimates put that number at around half the current stock market valuations (something like $12tn). That's a very very very pleasurable bed-time cigarette. The point is this: moral hazard is not about direction, it's about relative magnitudes between upsides and downsides; a correct analogy has to include similar relative magnitudes. In the home insurance example the downside is partly limited by the insurance, but it still doesn't spark a moral hazard pandemic (where people, for instance would burn their houses left and right ) since the upside is tiny compared to the massive downside. The opposite applies for moral hazard in financial markets; the upside is massive and the downside is limited. See how that's different from the firefighter analogy? The magnitudes of comparison (upside vs downside) are all wrong and so the point is lost in the middle. But hey, it makes for a good story, Dr. Bernanke – superficially convincing and all. Thank you for this brief explanation and very nice information. Well, got a good knowledge. Sometimes you just have to yell at people and give them a good shake to get your point across.